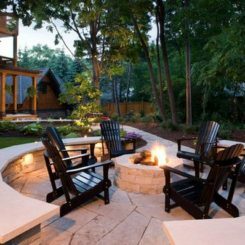 Chairs, in one form or another, have been around for centuries. 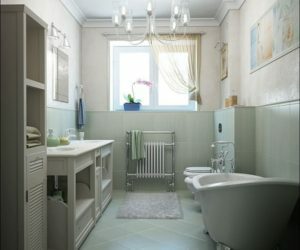 As they have evolved, cultural trends, aesthetic preferences, as well as new materials, construction techniques and technologies are reflected in their changing designs. 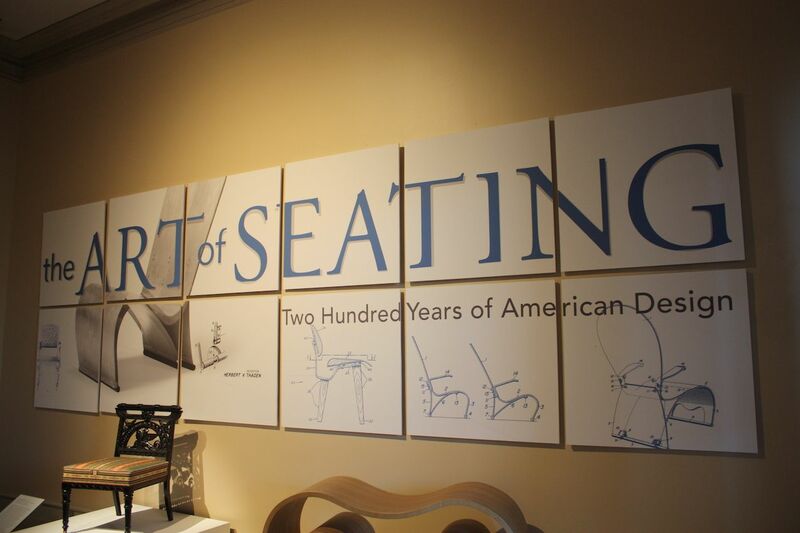 “The Art of Seating: 200 Years of American Design” is an exhibit of 40 iconic chairs from a private collection that is traveling the United States., It is organized by the Museum of Contemporary Art in Jacksonville, Florida, in collaboration with the Thomas H. and Diane DeMell Jacobsen Ph.D. Foundation and is toured by International Arts & Artists, Washington, D.C. 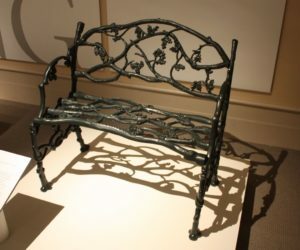 The style of the bench also coincided with the Romantic Movement in the U.S.
Ornate motifs were popular and the high back accented the intricate design. 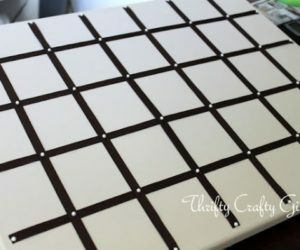 The pieces are cut using a Computer Numeric Control (CNC) machine. 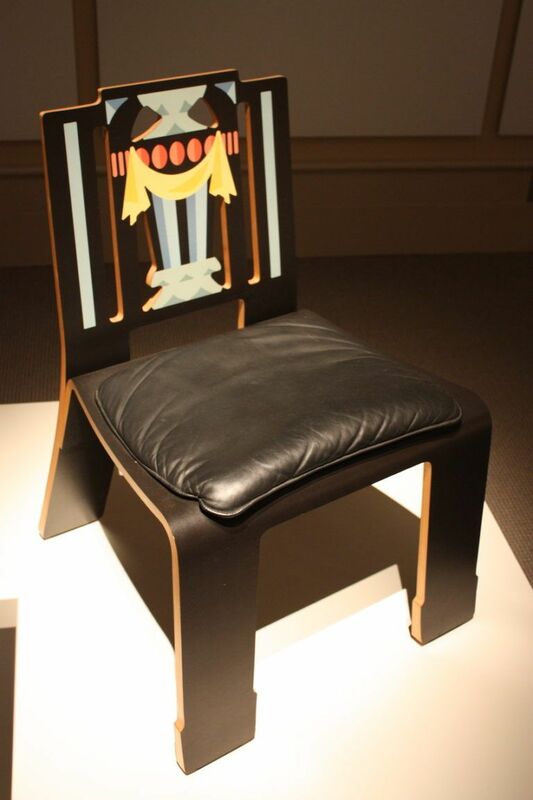 The unique chair is made of enamel, brass and upholstery. 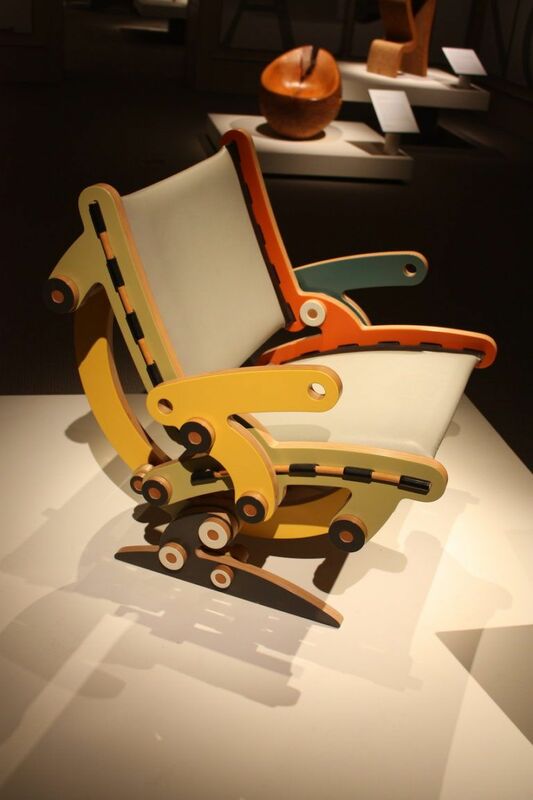 Homedit visited the exhibit, finding beauty, elegance and art in each and every chair. Here are some of the pieces that we liked in particular for their design, significance and cultural roles. 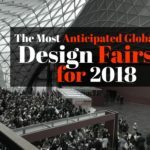 Euro Saarinen was a Finnish-American architect, recognized for his solo work as well as his collaborations with other designers, such as Charles Eames. 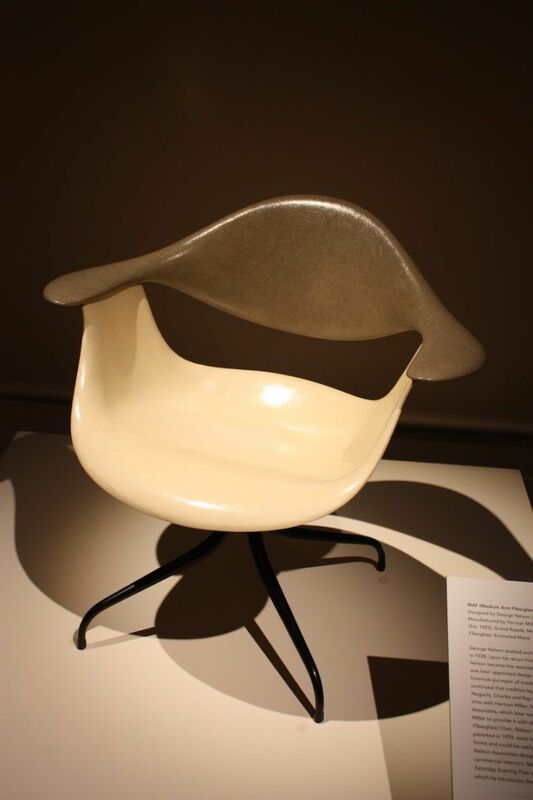 Probably best known for his furniture designs, Saarinen was firstly a prize-winning architect whose creations include the St. Louis Gateway Arch, the TWA terminal at JFK and the main terminal at Dulles International Airport. Among his iconic furniture designs is this Grasshopper Chair, created in 1946, which was also the first commission for Knoll, Inc. The shape of the legs is much like those of the insect. 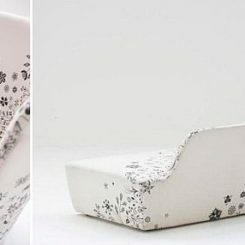 The chair is screen-printed laminate over plywood with a leather seat. 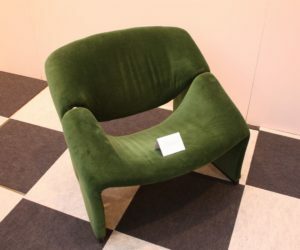 This Side Chair was designed and produced by the Herts Brothers of New York in 1995. It is typical of what was produced during the American Renaissance, when the focus returned to classical forms and a heightened interest in European travel and Rome. The magnificent inlay is copper, brass, pewter and mother of pearl. 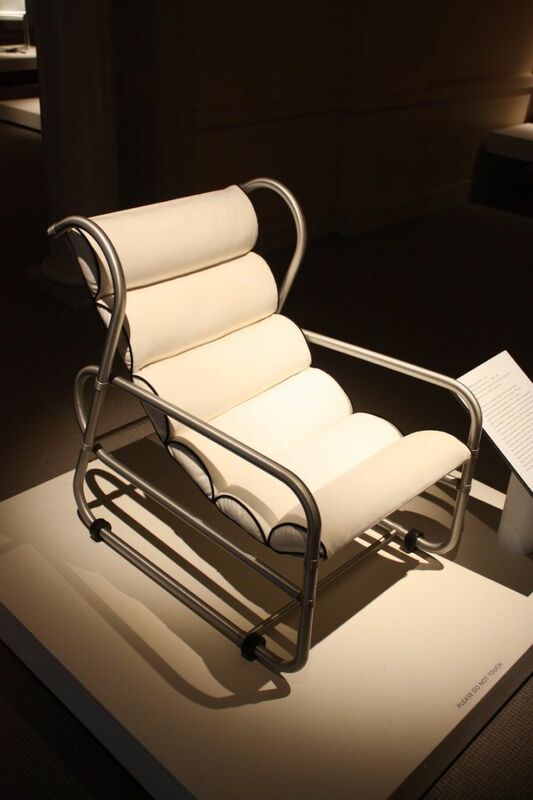 A groundbreaking chair that made early use of anodized aluminum. 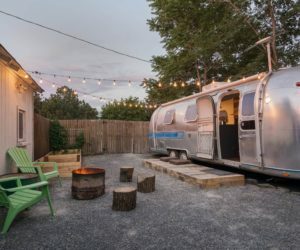 The technique was new to manufacturing but designer Warren MacArthur, Jr., used it to create furniture from tubular metal. 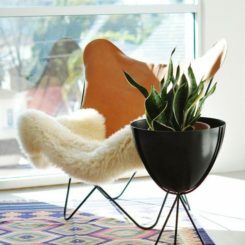 His Sling Seat Lounge Chair has international style and is enduringly chic. 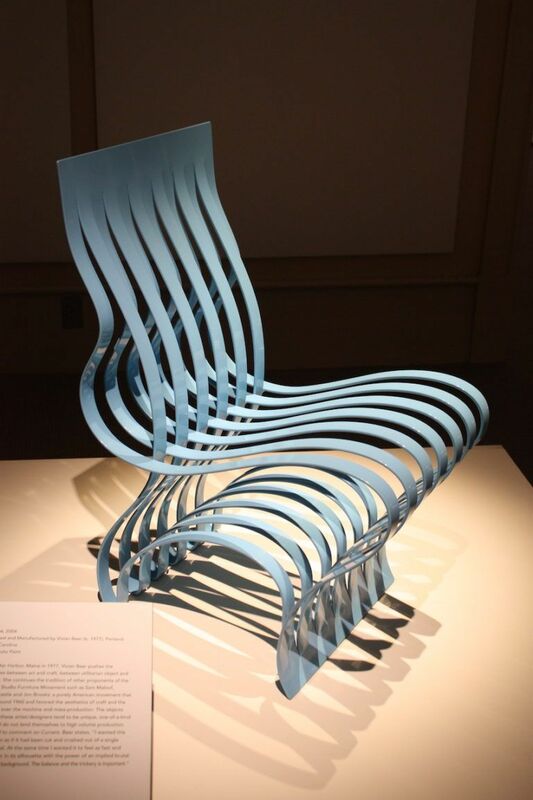 The chair is made from anodized aluminum, rubber and upholstery. 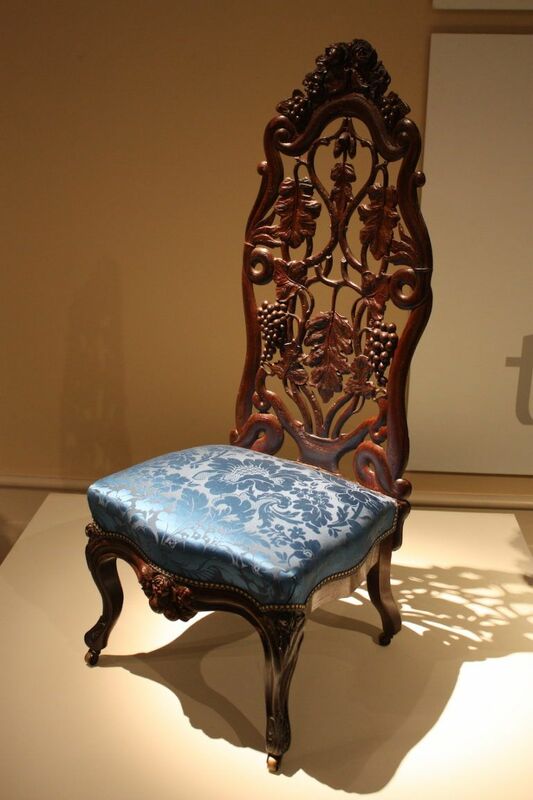 The chair is carved and laminated rosewood with silk damask upholstery. 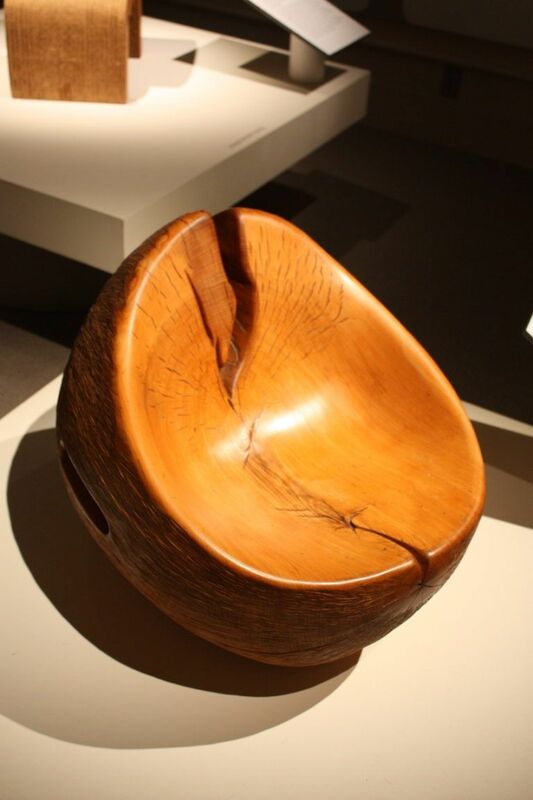 A 1970’s Solid Elm Ball Chair by Jon Brooks exemplifies the Studio Furniture Movement which was booming in the 1960s, thanks to artists like Wendell Castle, under whom Brooks worked. the designer carved the chair from a found log using a chainsaw. 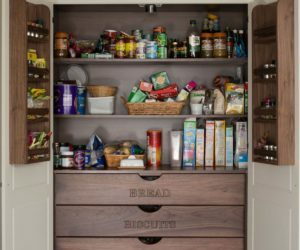 The style and finishing techniques highlight the grain of the wood and the beauty of the imperfections. Inspired by mathematics, music and the Fibonacci sequence, designer Kenneth Smythe created a series of very interesting charts, like this one, called Synergistic Synthesis. 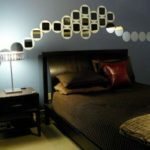 His pieces are created from Finnish birch laminate that is stacked and finished with Formica ColorCore Plastic. 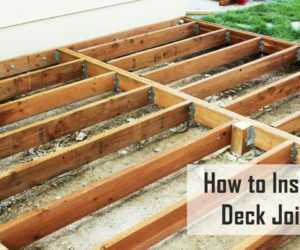 The pieces are held together and compressed with a threaded rod. 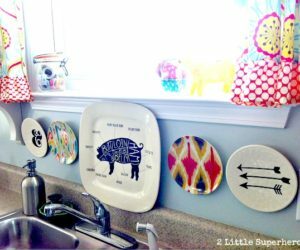 All of them are handmade. 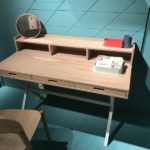 It is made from birch laminate, Formica ColorCore, Leather, Sunbrella acrylic, foam rubber and steel. 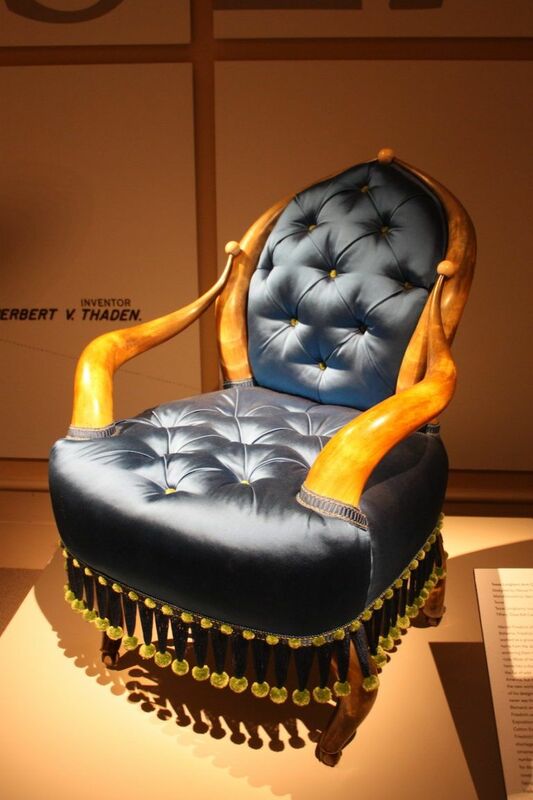 Wenzel Friedrich created this Texas Longhorn Armchair in 1890, using the horns from this iconic Texas animal for the back frame and the arms. 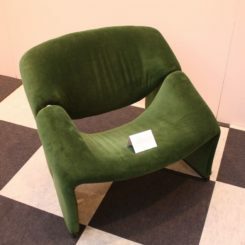 His works were known to be creative and often strange, using up to 20 horns in one chair and upholstery of animal fur. 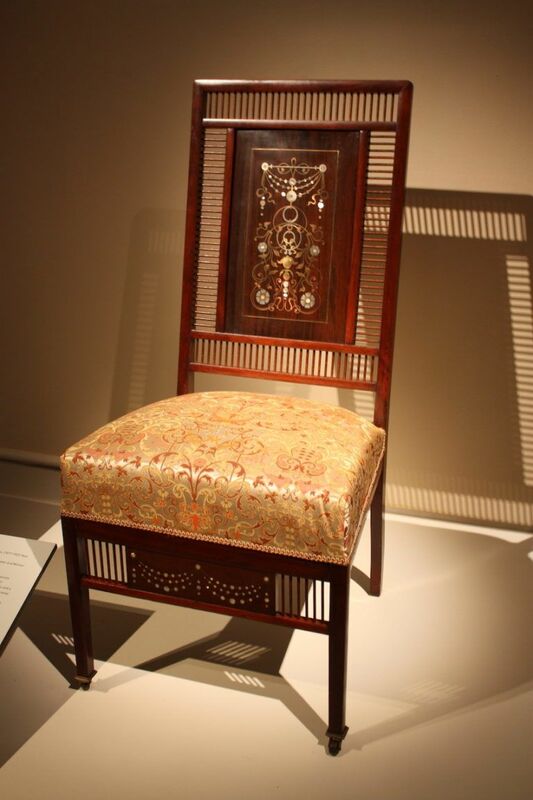 Silk satin upholstery covers the seat of the chair, made from horns, oak, brass and Tiffany glass balls. Erwynne and Estelle Laverne started in hand-painted wallpaper design but created a collection of clear furniture in 1957 called “The Invisible Group.” Four chair designs were named after flowers, partly for the flowing designs, but it is also suspected they wanted to create a link to Saarinen’s iconic Tulip Chair. 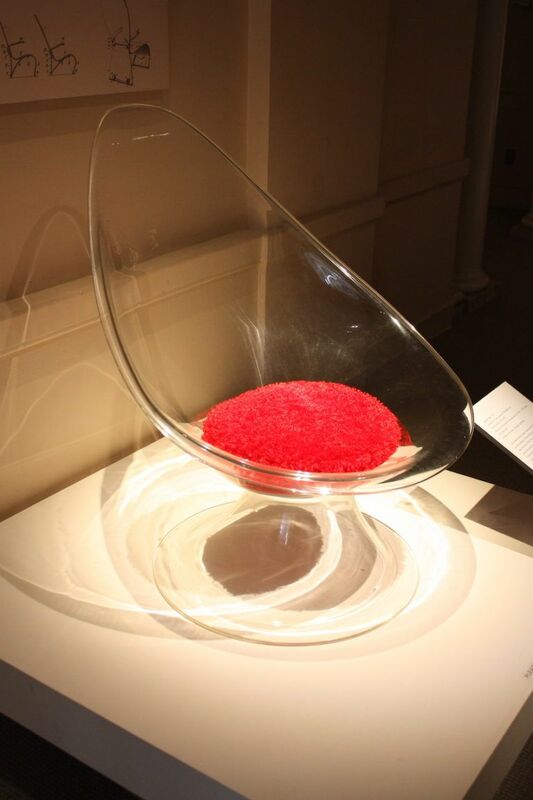 This chair is made from model acrylic resin and polyester upholstery. Laminated birch and brass comprise this chair. 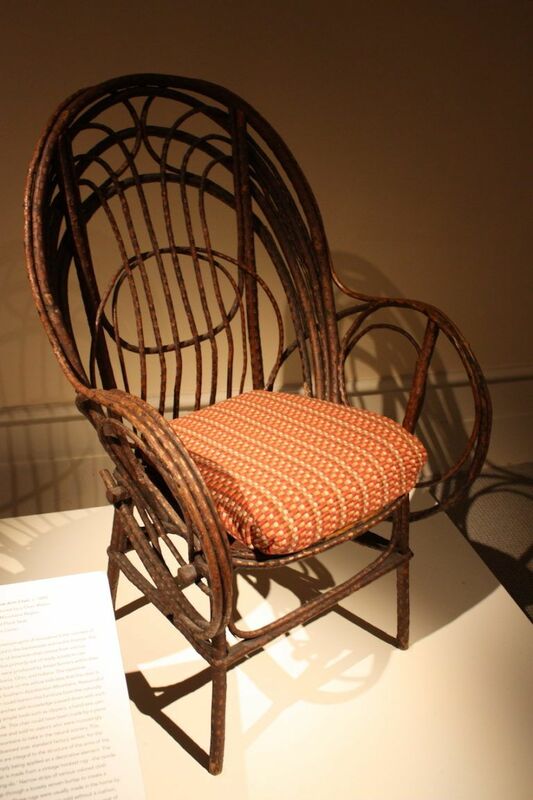 Appalaichan bent willow armchair is a good exempt of the american pioneering spirit of making use of what is at hand. 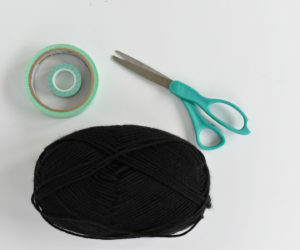 The long flexible follow branches are easy to manipulate into shape and crafted with simple tools. The methods and techniques were often passed down through the generations. 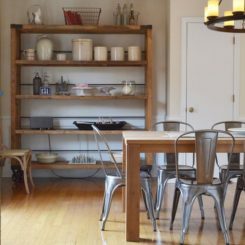 Amish farmers made similar bent willow furnishings. Furniture icon Harry Bertoia created this chair, among others, after experimenting with bent metal rods. This is his Bird Lounge Chair, manufactured by Knoll. The chair is a simple combination of chrome wire and a wool cover. 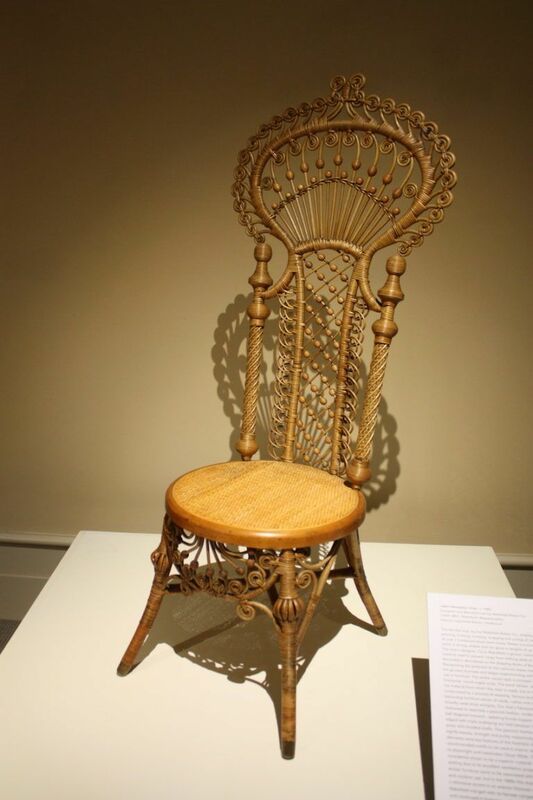 This stately chair is Thomas Warren’s Centripedal Spring Armchair, created in 1850. 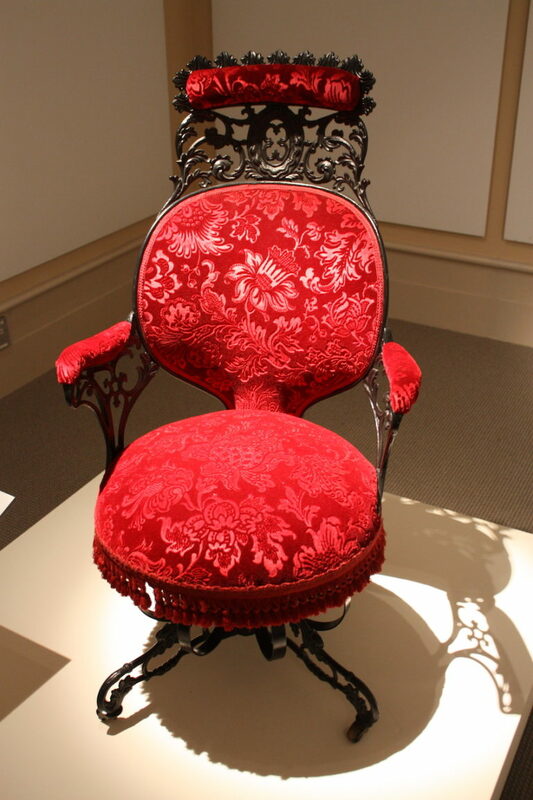 The Victorians’ were always looking for ways to be comfortable when seated, and this chair’s construction achieved that. 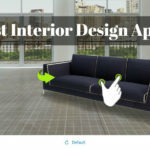 The chair can rotate, moved laterally and vertically. Warren received a patent for the springs in his chair, as well as a design for railroad car seat backs. The armchair is fashioned from cast iron, wood, sheet metal, velvet, and faux rosewood graining. 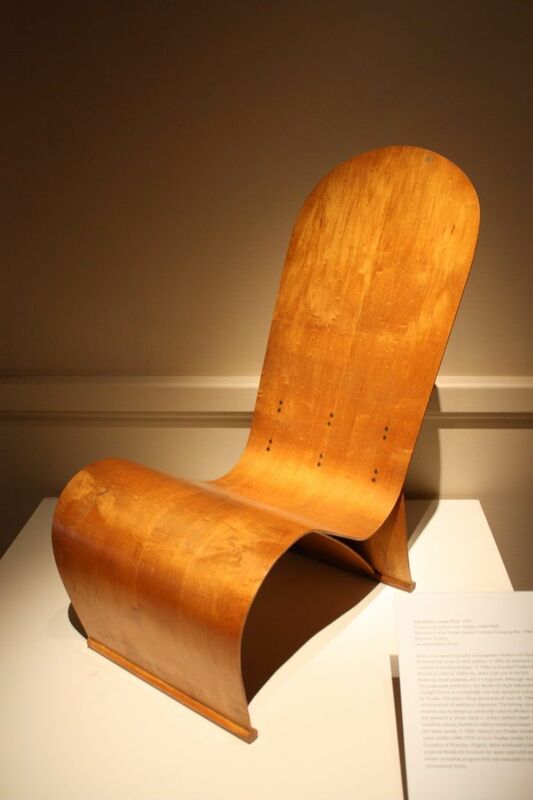 Vivian Beer’s 2002 “Current” chair “pushes the boundaries between art and craft, between utilitarian object and sculpture.” Commenting on her chair design, the arts said that she wanted a chair that looked like it had be cut and crushed from a single piece of metal. Beer made the chair from steel and auto paint. Today, Frank Gehry is best known for his amazing architectural designs, but it was actually a line if furniture crafted from corrugated cardboard that launched him into wide attention. Inspired by the material used to make architectural models, Gehry’s experiment yielded 17 designs and a patent for his work. 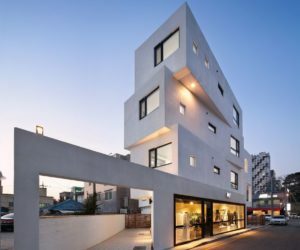 While they were very successful, he stopped making them because it distracted him from his architecture work. 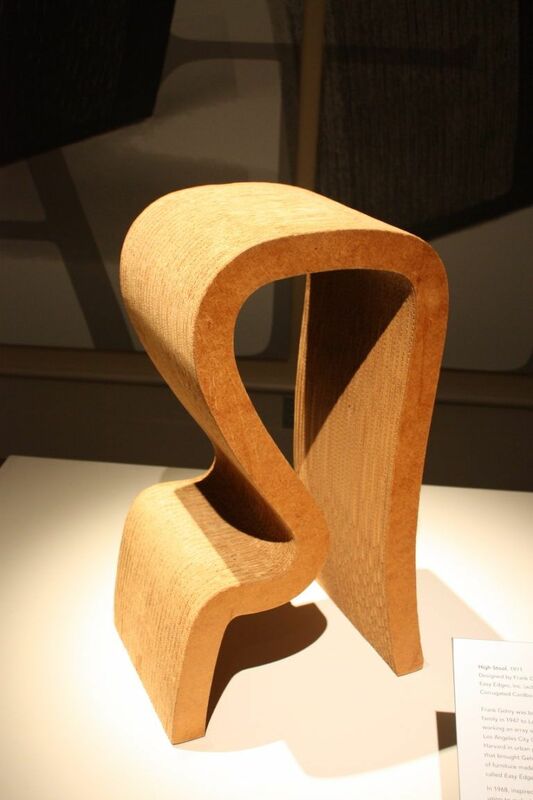 Gehry’s Tall Stool is made from corrugated cardboard, masonite and wood. The Iconic bench by Laurie Beckerman is made from 18 layers of Baltic Birch plywood that are sandwiched together and finished to exquisite smoothness. The surface is then coated Italian acrylic. When Frank Lloyd Wright designed the Johnson Wax corporate headquarters in 1938, he also designed all the furniture. 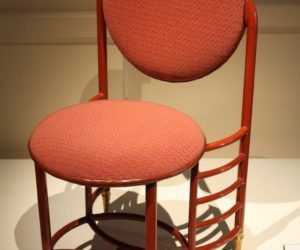 This patented chair design started out as a three-legged chair, but it is said Wright it changed to four legs after he toppled over in the original design. 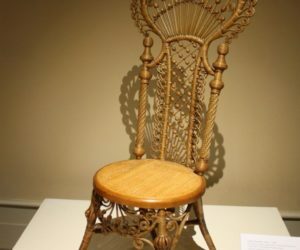 While we are used to seeing rattan used in chairs these days, back in 1885 when this was designed, the materials was new to the US. Boston grocer Cyrus Wakefield noted the material, which was used to secure cargo on ships and thrown out o the docks. 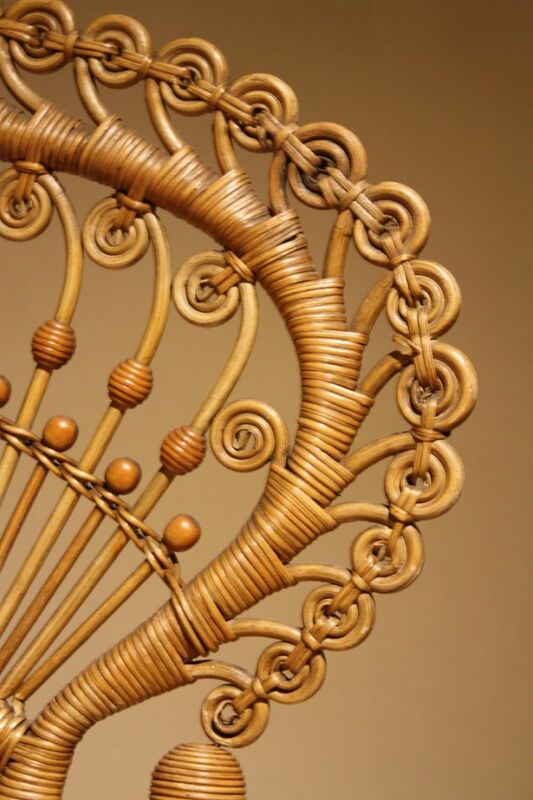 He started experimenting with in in making furniture and created the wakefield Rattan Co.
A closer look at the detailed rattan work. 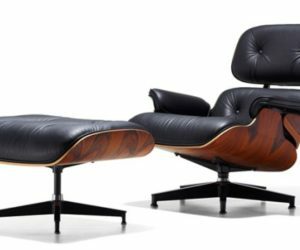 One of the 20th century’s most celebrated chair designs is the Eames’ LCW (Lounge Chair Wood). 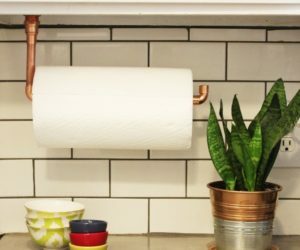 Molding plywood with heat and pressure allowed them to create their iconic designs with bent wood. 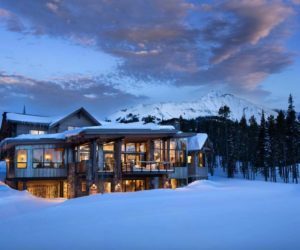 It was produced by the Herman Miller Company. 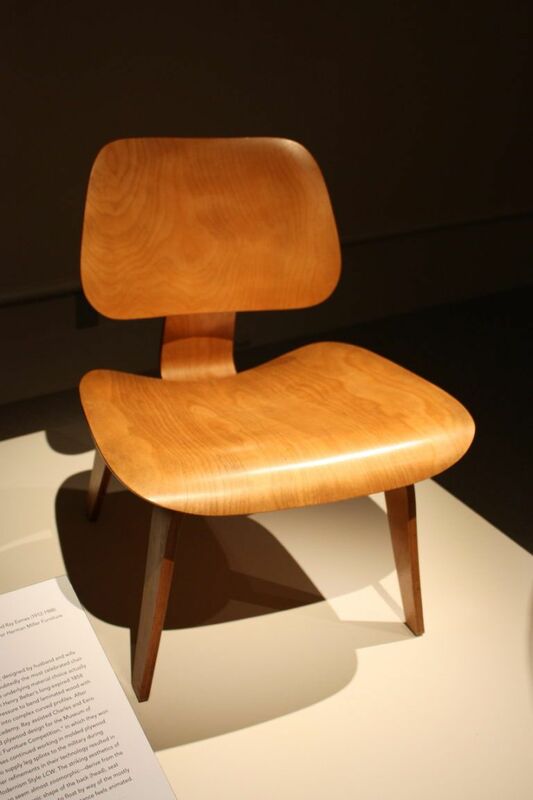 Simple and clean lines are the signature of the Eames’ work. 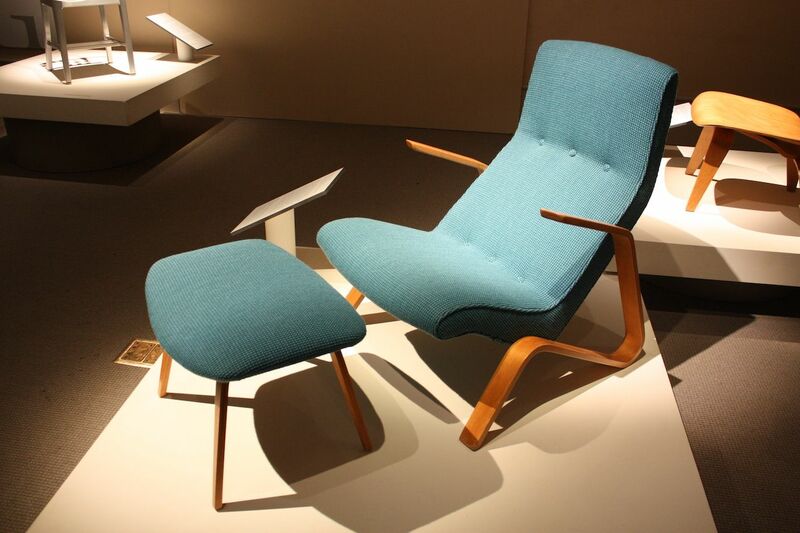 George Nelson’s MAF (Medium Arm Fiberglass) Chair was created in 1965. 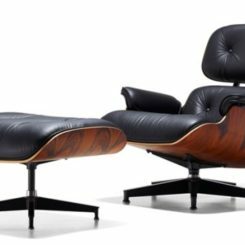 Nelson served as design director for Herman Miller ad collaborated with some of the greatest names in design, including Noguchi, Eames and Bertoia. He intended for the legs of this design to be universally applicable and able to be assembled with just a screwdriver. 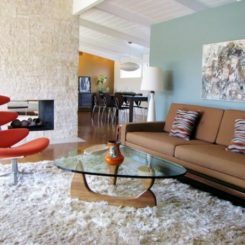 Fiberglass and enameled metal make up this modernist design. 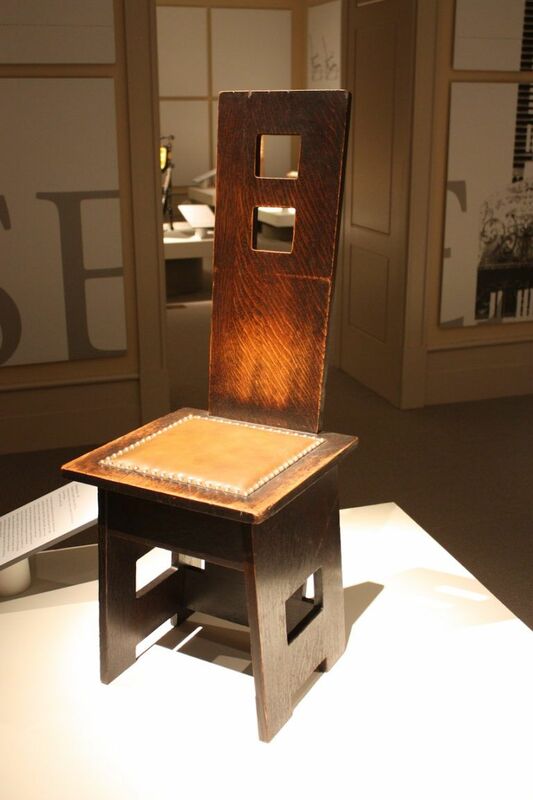 A Plank Back Chair by Charles Limbert is a great example of the Arts and Crafts Movement, which took root in the 19th Century as a reaction to the Victorian era. 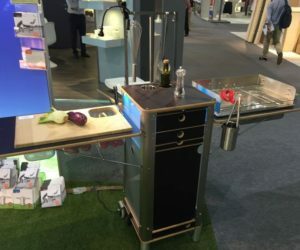 It is made from fumed oak, leather and brass. 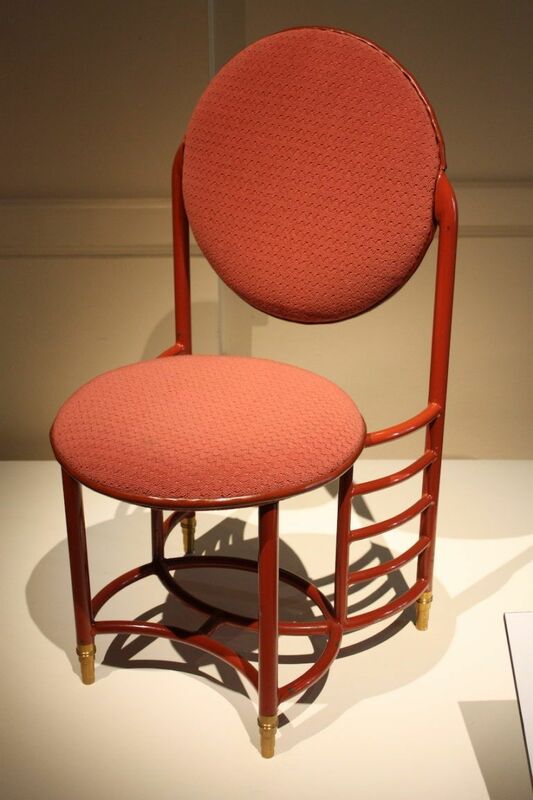 The chair was manufactured in 1902-05. 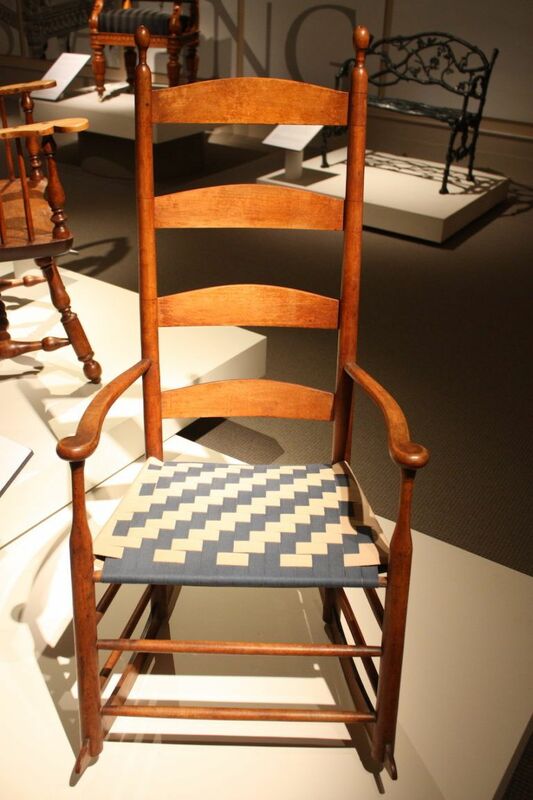 This Rocking Armchair is a Shaker piece from around 1840. The simple, undecorated and highly functional piece is typical of the Shaker style, which later inspired modernist designers in america and Scandinavia. Shakers viewed work as worship and the industriousness led to the development of items such as clothespins, the circular saw, and garden seeds packaged in paper. 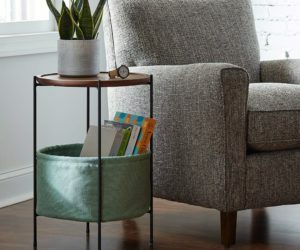 This share style chair has endured and is sill very popular today. 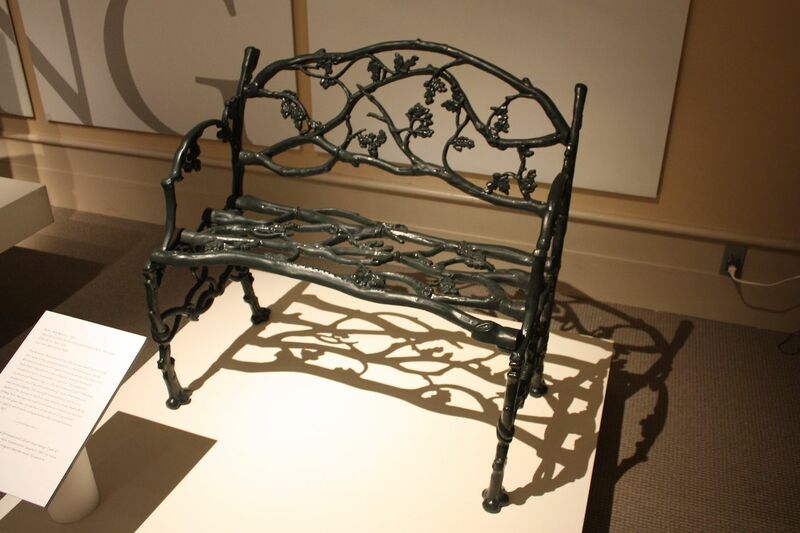 James Beebe and Company produced the Rustic Twig Bench from cast iron around 1855. The style was indicative of the Picturesque Garden Movement in America. The company that produced this bench also made the cast iron sections of the done on the U.S. Capitol building. 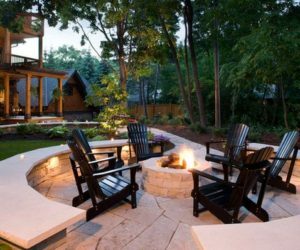 These chair designs span 200 years, yet many of their features and characteristics are still popular today. 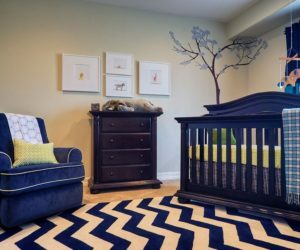 Whether modernist and spare or fanciful rattan designs, they all offer inspiration for many home decor styles. 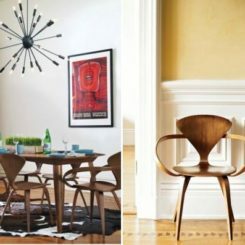 Perhaps you already have some vintage pieces in your home, but if not, variations of these chairs can be found in design shops across the globe.